American Resources Corporation is a supplier of raw materials to the rapidly growing global infrastructure marketplace. The company’s primary focus is on the extraction, processing, transportation and selling of metallurgical coal and pulverized coal injection (PCI) to the steel industry. The company operations are based in the Central Appalachian basin of eastern Kentucky and West Virginia where premium quality metallurgical products are located. The company’s business model is based on running a streamlined and efficient operation to economically extract and deliver resources to meet our customers’ demands. By running operations with low or no legacy costs, American Resources Corporation works to maximize margins for our investors while being able to scale its operations to meet the growth of the global infrastructure market. "American Resources Corporation is not just another commodity-based company; we are building the next generation of mining companies utilizing strict discipline of performance, productivity and safety. The key to our success is the operating culture our team embraces that thrives on efficiency and accountability, enabling the company to capitalize on all market cycles." As a key component to its operating strategy, American Resources Corporation places a high importance on being a diversified, low-cost metallurgical coal producer. As a result, the Company is able to successfully operate in all market cycles. The Company is a growth-oriented business targeting both organic growth and acquisition opportunities of both stable operations and turn around projects with a high return on capital. The company currently has approximately 300 company & contractor employees. American Resources operates four coal mining complexes located primarily within Pike, Knott, and Letcher Counties, Kentucky and Wyoming County, West Virginia, with an additional mining operation located in Sullivan and Greene Counties, Indiana. American Resources focus is on mining metallurgical and pulverized coal injection (PCI), along with ancillary premium thermal coal, from the Central Appalachian Basin (CAPP). McCoy Elkhorn Coal is located in Pike County, Kentucky and currently has two operating underground mines within the Glamorgan and Alma coal seams, with additional mines in development in the Alma, Cedar Grove and Pond Creek coal seams. McCoy Elkhorn mines and sells metallurgical coal, and utilizes its two state-of-the-art processing facilities with a combined capacity of 1,300 tons-per-hour, and batch-weight loadouts on the CSX railroad. Deane Mining is located in Letcher County, Kentucky and utilizes both surface and underground mining methods primarily in the Elkhorn 3, Hazard 4, and Hazard 4 Rider coal seams, with additional mines in development in the Elkhorn 2, Elkhorn 3, and Hazard 4 coal seams. Deane Mining produces and sells PCI, industrial, and high-grade thermal coals, and utilizes its 800 ton-per-hour preparation plant and batch-weight loadout on the CSX railroad. Knott County Coal is located primarily in Knott County, Kentucky and will utilize both surface and underground mining methods in the Lower Elkhorn, Elkhorn 2, Elkhorn 3, Elkhorn 3 Rider, Hazard 4, Hazard 4 Rider, and Amburgey coal seams. 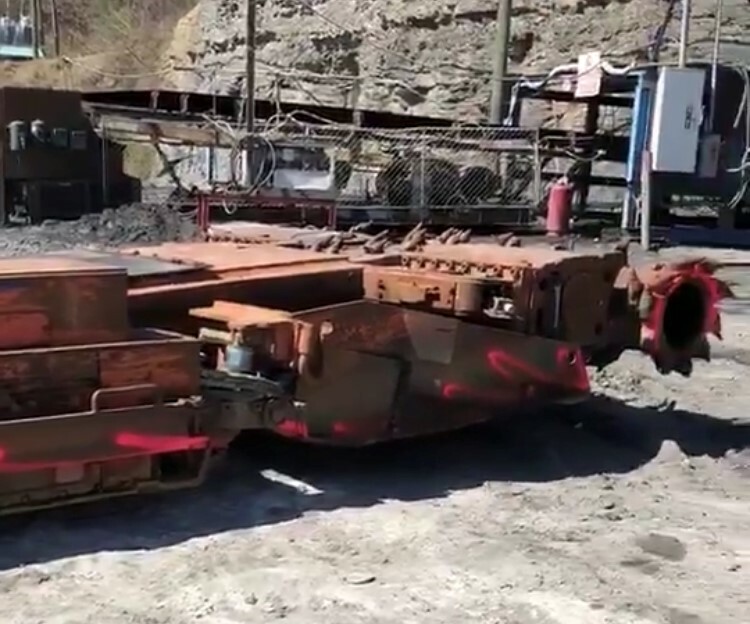 Knott County Coal will mine and sell PCI, industrial, and high-grade thermal coals, and utilize its 400 ton-per-hour preparation plant and batch-weightloadout on the CSX railroad. ERC Mining Indiana Corporation operates the Gold Star Mine and is located in Greene and Sullivan Counties, Indiana and consists of a box-cut underground mine accessing approximately 54.9 million tons of high-grade, low sulfur coal within the Indiana IV and Indiana III coal seams. The Gold Star Mine utilizes its 170 ton-per-hour preparation plant and batch-weight loadout on the Indiana Rail Road. Wyoming County Coal is located in Wyoming County, West Virginia and will utilize surface and underground mining methods with an initial focus on the Gilbert and Eagle coal seams. Wyoming County Coal is a mid vol and high vol metallurgical coal complex with an onsite preparation plant and rail loadout on the Norfolk Southern railroad. The preparation plant is currently undergoing an upgrade to become a premier modern facility and increase the processing capacity to between 500 to 600 ton per hour.